Tonight I cannot share with you my answer to this conundrum, nor do I think this is worth too much concentration when I am in this frame of mind. Instead tonight, I am going to have fun and add to a small list I started a few months ago. 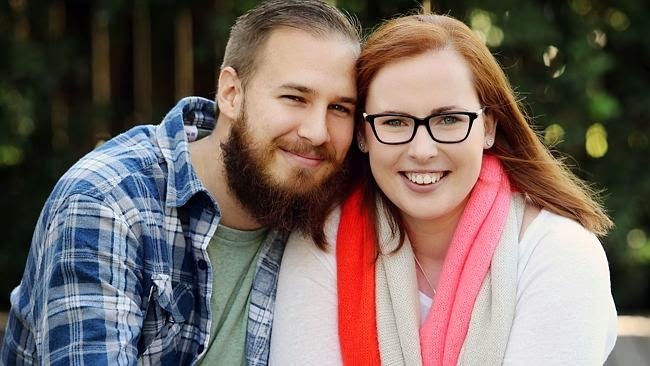 ‘One of my biggest internal struggles on my cancer journey has been with the sometimes exciting, but largely depressing, notion of a bucket list. My choosing to have, or not to have, a bucket list would change every few weeks. But I realize now, the weeks when I was pro-bucket list I was convincing myself that ‘living in the moment’ and ‘making the most of life’ were phrases that instilled purpose and happiness in a time of uncertainty and sadness. However, when thinking about what I would write on my bucket list, I did not feel like I had purpose and I definitely did not feel happy. Instead, I felt defeated, upset, and I felt like I was dying. My answer to this conundrum was not to write a list a traditional bucket lists full of things that I MUST do before I die. Instead, I decided to put together a list of things that bring joy to my everyday life. So, tonight to cheer me up and bring me out of my slump, if only for a bit, I add to my original very small list of only three items! Exciting! 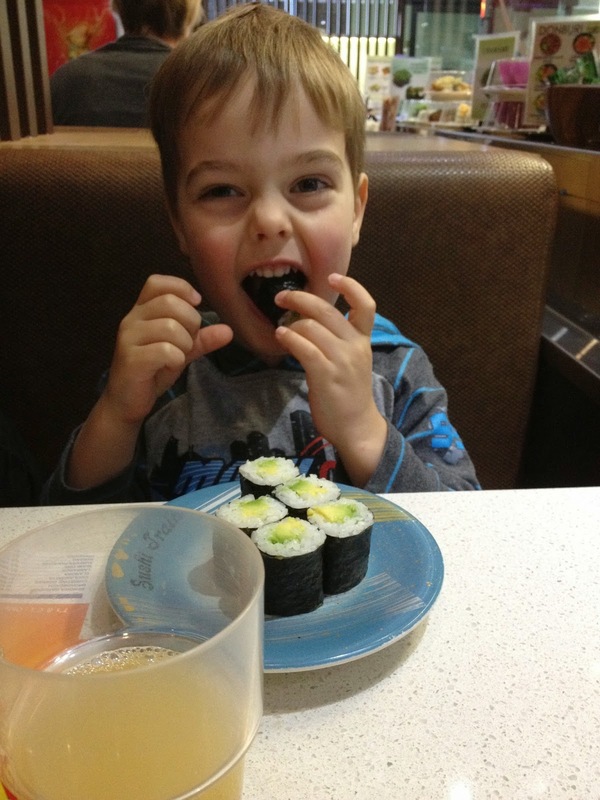 My favourite Sushi partner, my nephew Max. · To have a ‘fold-down’ (all cushions removed from my bed and the blankets turned down) by Serge every night (Serge is keeping up about 90% of the time). · Enjoy Sushi Train often. · Always have a bottle of champagne in the fridge and drink from nice champagne flutes. This should not be limited to special occasions. · Eat Caramello Koalas whenever I feel the urge. · Make my English Breakfast Tea obsession extra special by drinking out of my favorite fine china teacup and saucer. · Buy cherries and eat them like they are going out of fashion. · Always have my favourite white wine on stock at home. · Remember that there is always time for weekends away. 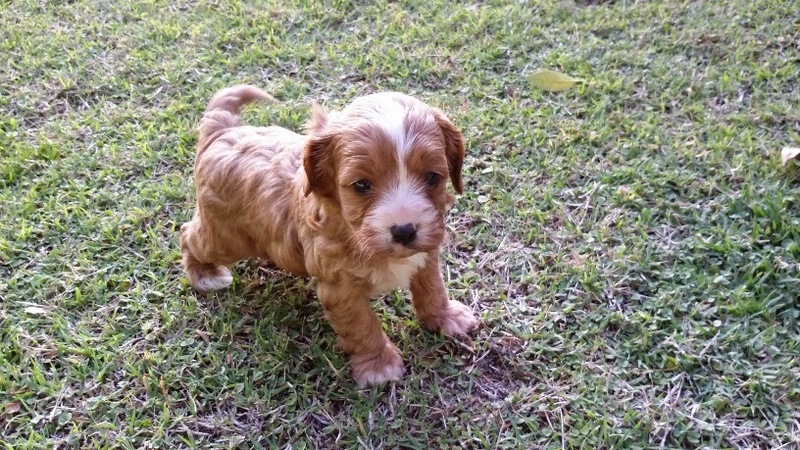 · Enjoy our new puppy, Mr Ralph. Mr Ralph will bring many smiles to this household. I am going to print this list out and put it on our fridge as a reminder to enjoy everyday. There are always going to be sad days on this journey, but everyday I look at my nails, enjoy a glass of wine, hop into a prepared bed, and give Ralph a hug, you can be sure that there will be a smile on my face. And, on an exciting side note, this list is going to form the inspiration for my big cocktail party fundraiser for early next year! Think pavlova, champagne, cherries, flowers – Does that sounds exciting or does that sound exciting?!?! God that sounds like the PERFECT anti-bucket list - lifes big moments are the really the everyday small moments THAT and champagne and pavlova! What an amazing list, love Mr Ralph too. Đào tạo chuyên nghiệp báo cáo giám sát môi trường là vấn đề sinh viên mới ra trường luôn phân vân có nên học các lớp viết báo cáo giám sát môi trường ở các dự án thực tế hay không sau khi tốt nghiệp.